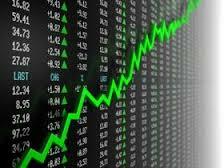 The Toronto Stock Exchange gained Friday as positive news from both sides of the Atlantic saw global sentiment rise. Even domestic job losses didn’t stop the positive end to the week. After a tricky week’s trading and mixed economic data Wall Street closed with gains after the US employment report revealed 223,000 new jobs were added and a 5.4 per cent unemployment rate although wage growth was just 0.1 per cent. European markets closed up 3 per cent as the pro-business Conservative party won a majority in the UK’s general election. Earlier in the day Asian markets closed mixed with Australia’s growth still causing concern while hope is rising of China adding further stimulus. There was a net loss of 19,700 jobs in Canada in April, StatsCan revealed Friday. There were 46,900 new full time positions while 66,500 part time roles were cut. Unemployment stayed at 6.8 per cent for the third month. Despite the downturn in oil Alberta added 12,500 net jobs while BC lost 28,700. Analysts had expected the unemployment rate to rise to 6.9 per cent but for only 5,000 net job losses. The Victoria City Council is considering introducing a licensing scheme for marijuana dispensaries similar to the model in Vancouver. The city has 18 dispensaries but only 7 have business licences and the council is now considering other options. The federal government maintains that the shops are illegal and is therefore generally opposed to licensing. Almost one in five Canadians has put the maximum allowed savings into their tax free savings accounts and it’s not just the wealthiest Canadians who are using the accounts to their full advantage. The Financial Post reports that 60 per cent of those using the maximum $10,000 earn less than $60,000.